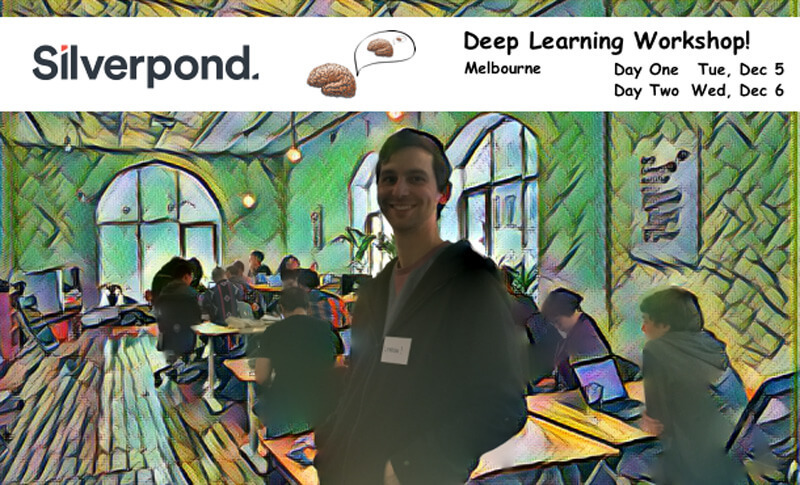 You might have noticed that Silverpond have postponed our Deep-Learning-Workshop until December. One of the reasons for this was that, for us, August 2017 was the busiest month of all time! 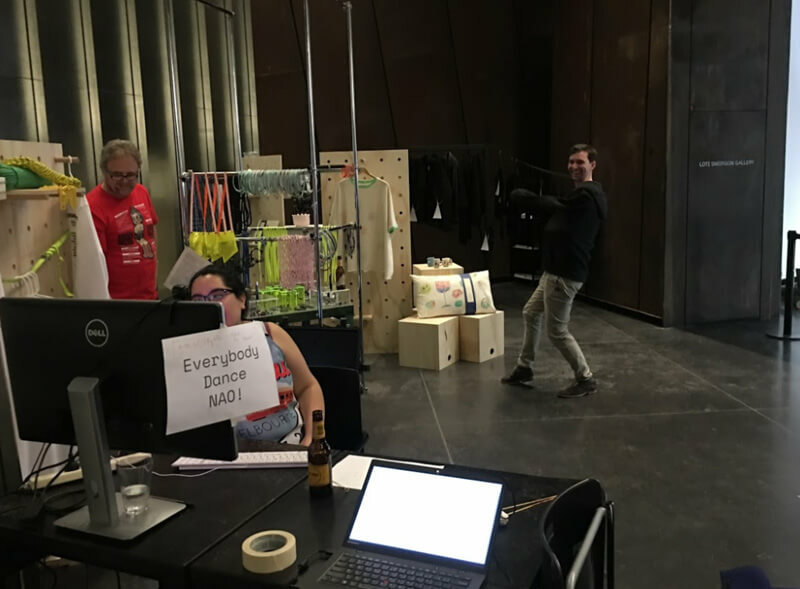 There were tons of core-business related projects and activities, but on top of that, there were new-hires, office events, tons of community engagement, productions, out-reach, and participation! 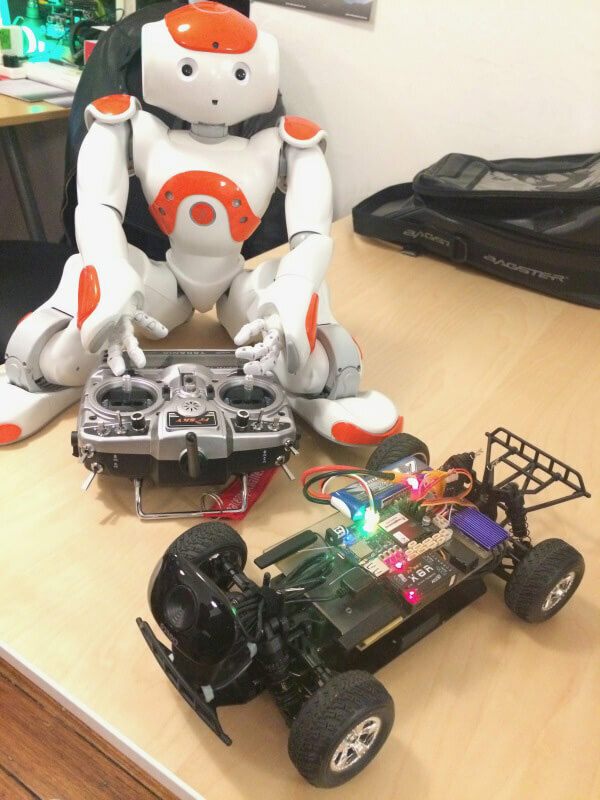 Josh was preparing for an autonomous-robotics competition hosted in Sydney. 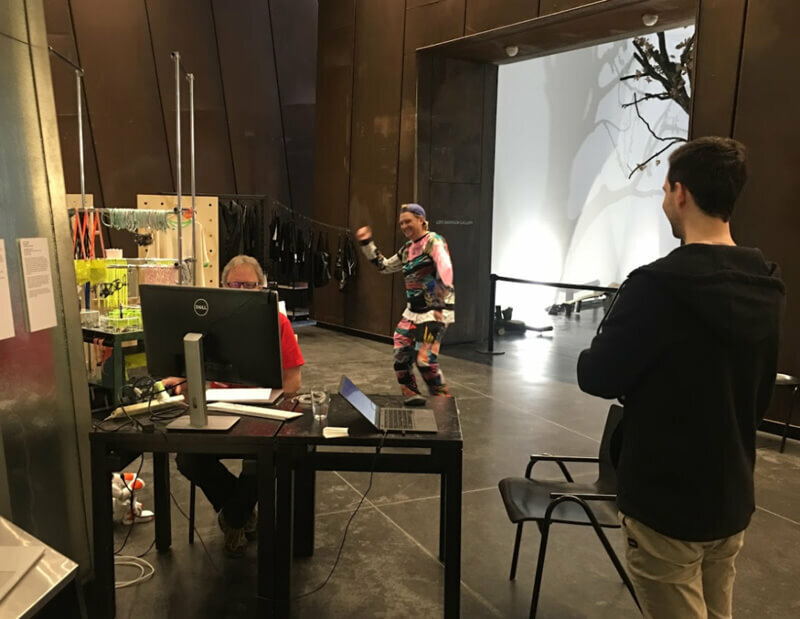 Built around the theme of ‘Smart Transportation’, the competition involved designing, building and programming an intelligent vehicle that can follow road rules and regulations to safely navigate a mock city grid (video link) in an allotted time. 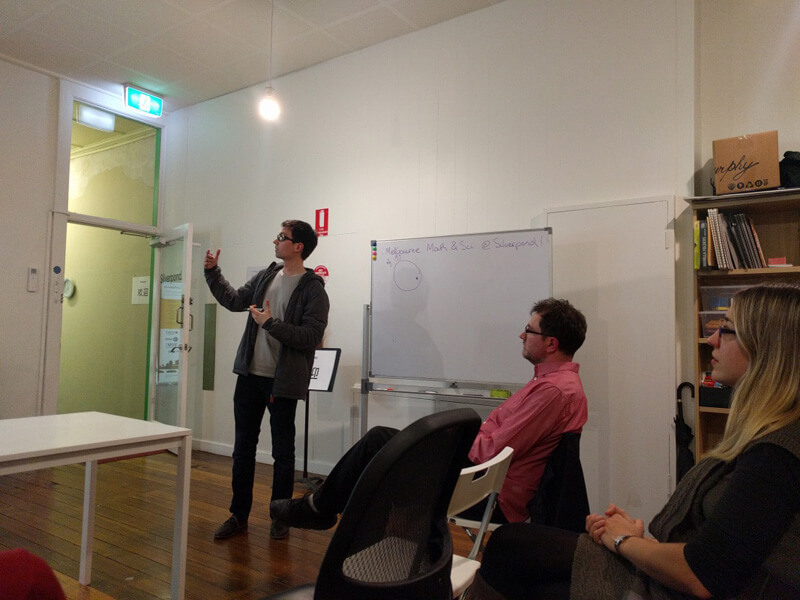 Jono, Josh and Chip (on loan from Swinburne University) delivered an Introduction to Machine Learning presentation atPeninsula Hack in Frankston. 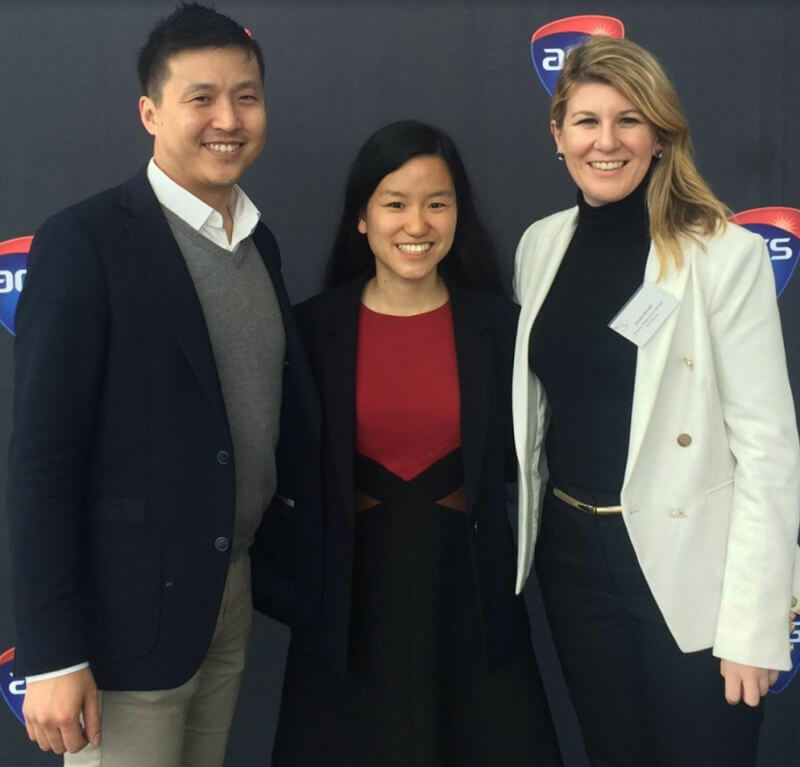 Part business summit, part hackathon – PeninsulaHACK was designed to bring together the brightest creative, technical and entrepreneurial minds from across the Peninsula into a festival of activities with the sole directive to educate and innovate. Our new employee Andy Gelme has joined Silverpond to lend his considerable knowledge and experience to our team! We’re super excited to work together after already having spent a lot of time in discussions at many events and reading groups in the past. 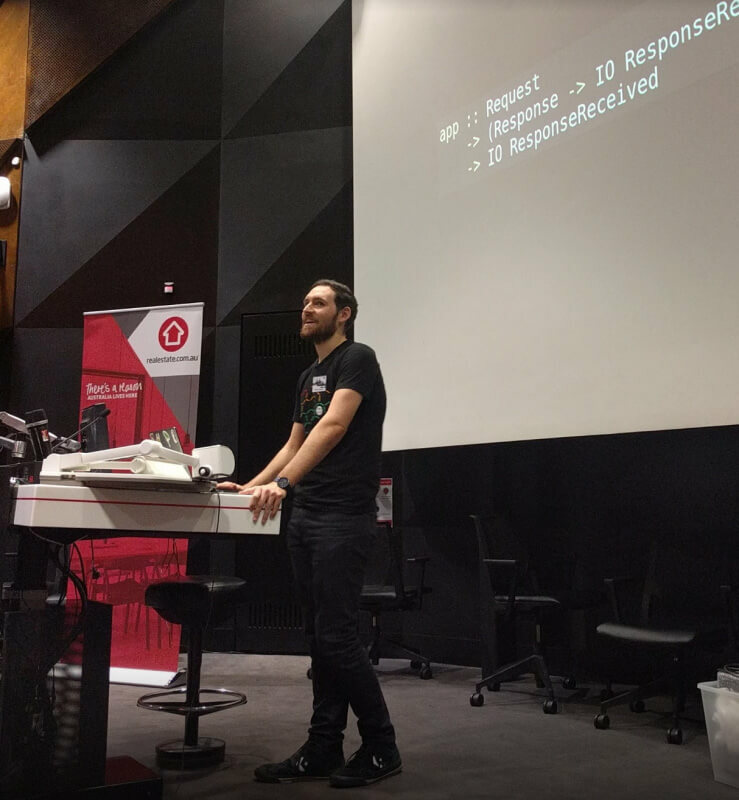 A couple of Silverponders contributed to running Compose :: Conference Melbourne for its second year! This was a significant effort in order to rally all of the speakers, volunteers, sponsors, contractors, and audience to convene on RMIT for a day of talks, followed by a second day of unconference activities such as demos, lightning-talks, workshops, and “un-recruiting” making its first showing. 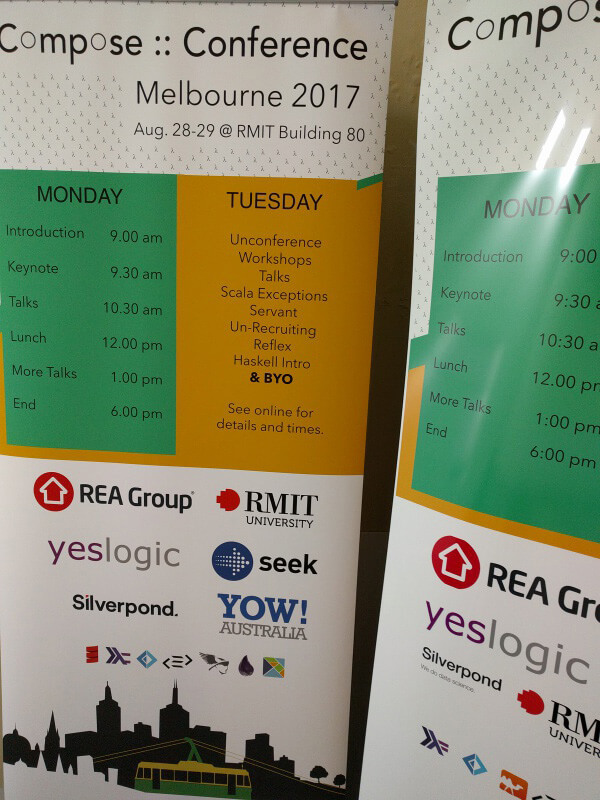 The creation of the Melbourne Functional Programming Association Inc. was also undertaken to provide an umbrella for this event, and others like it in the future. Alisha has joined Silverpond to take on our new machine-learning internship! 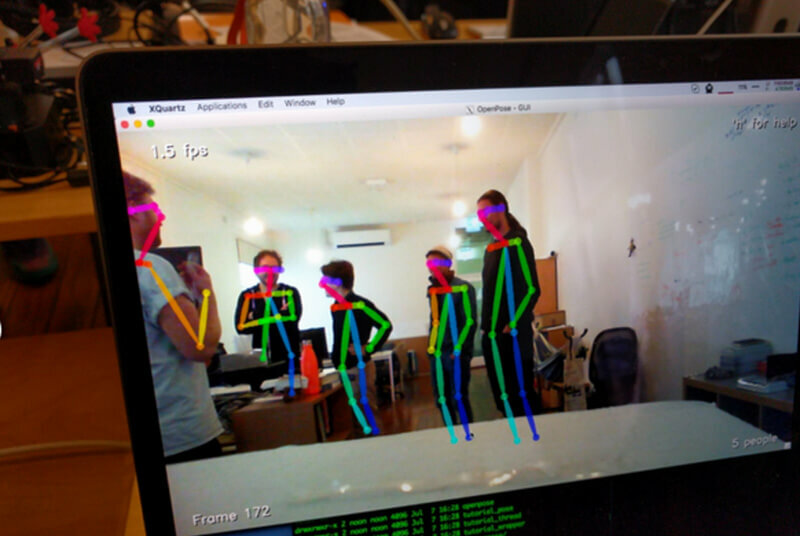 We’re very excited to collaborate and assemble a team including Alisha to begin tackling some of the upcoming problems involving and related-to the industrialisation of cutting-edge deep-learning models. 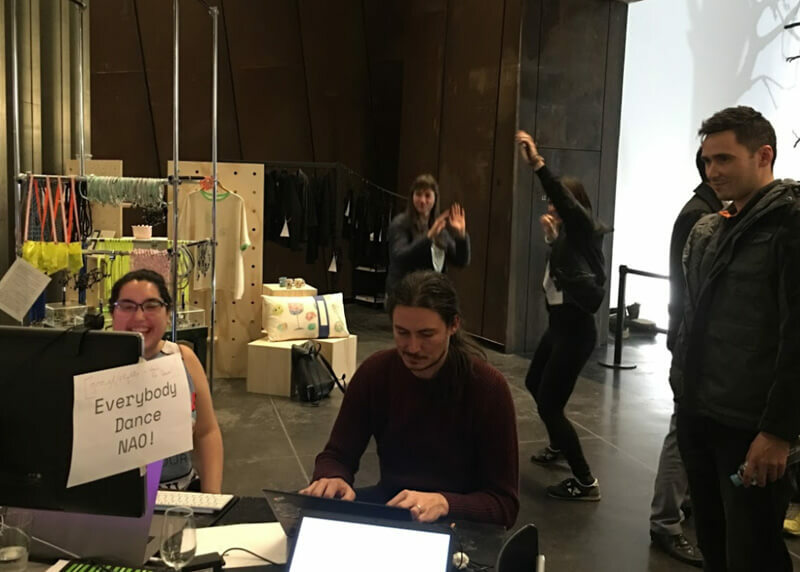 On top of the interesting ML work, Alisha jumped into the community action immediately by helping out on the first day of Compose :: Melbourne! 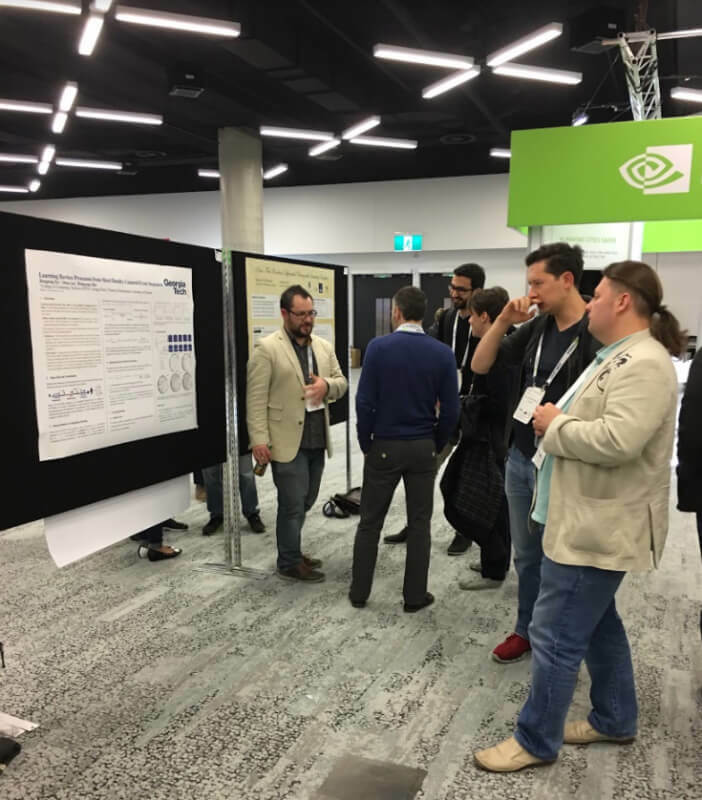 The absolutely huge ICML conference was running in Sydney this year, and a cohort of Silverpond representatives went along to learn and share. This was a big commitment, since the conference was running all-week and we sent 3 team-members along! 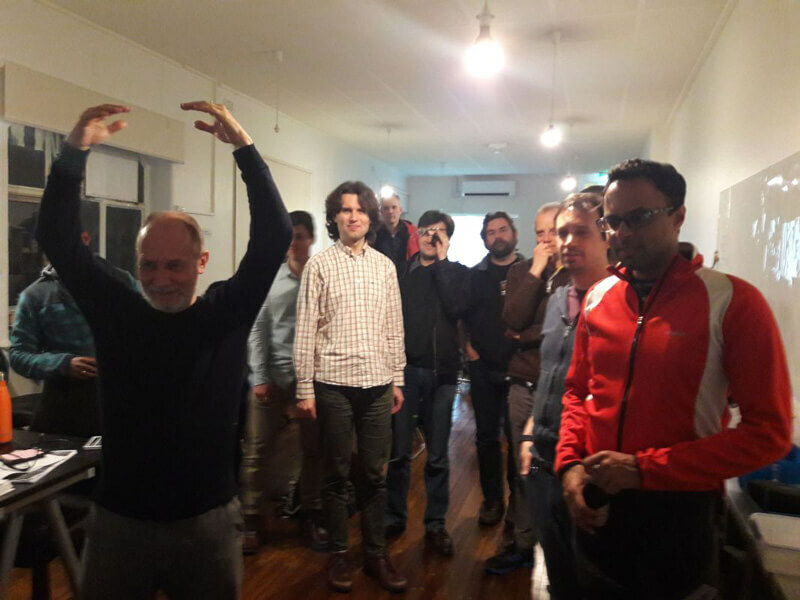 After coming back to the office the following week we ran an ICML-retrospective where many amazing ideas were shared with the rest of the team including my favorite – Bayesian Dark Knowledge! 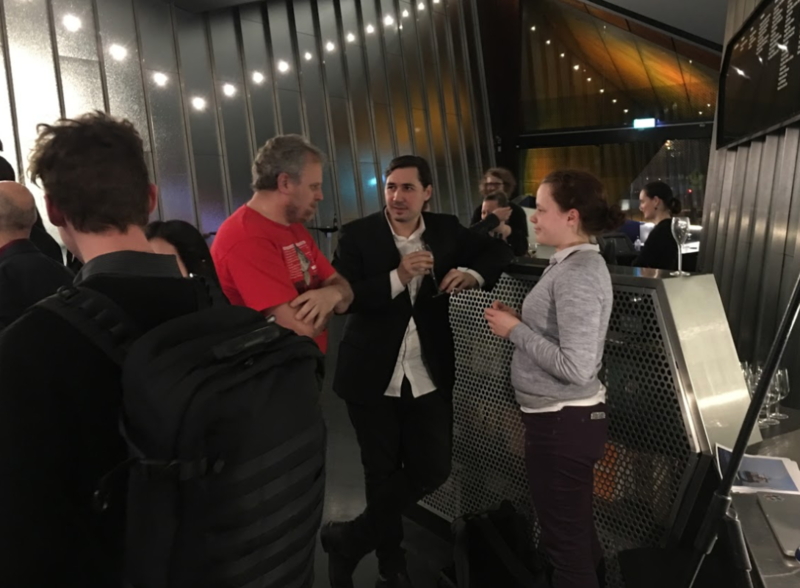 If ICML wasn’t enough AI-conference for Australia in August, the venerable IJCAI came to Melbourne the following week! 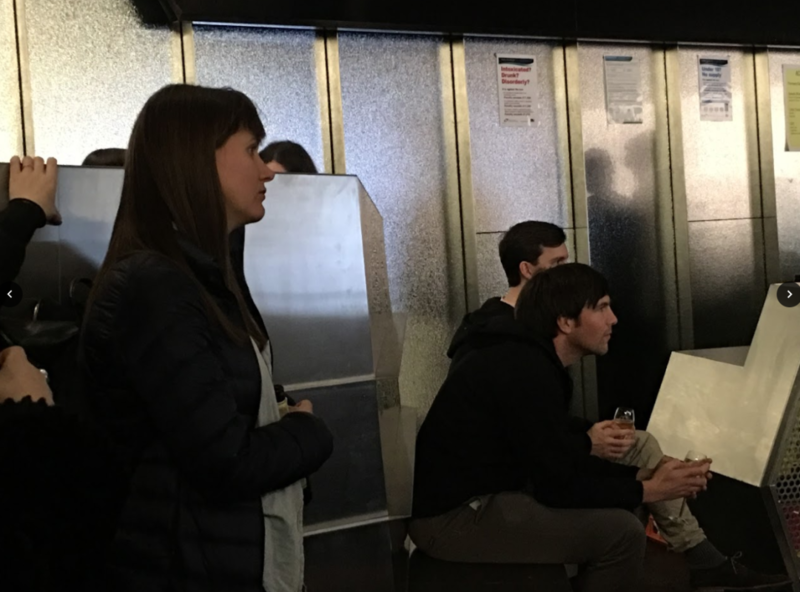 Silverponders participated in many of the tangential IJCAI activities such as panels and the festival events. 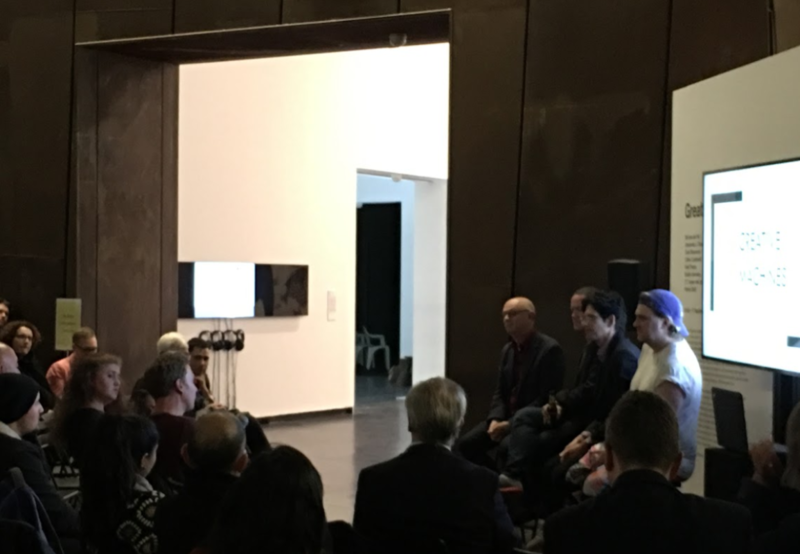 In this photo you can see Noon Silk (with the blue hat) participating in an AI discussion panel at the closing event of the festival. This was followed by our other project of the night – the Everybody Dance Now demo! It was a fun evening and many of our friends and contemporaries came along for the festivities. 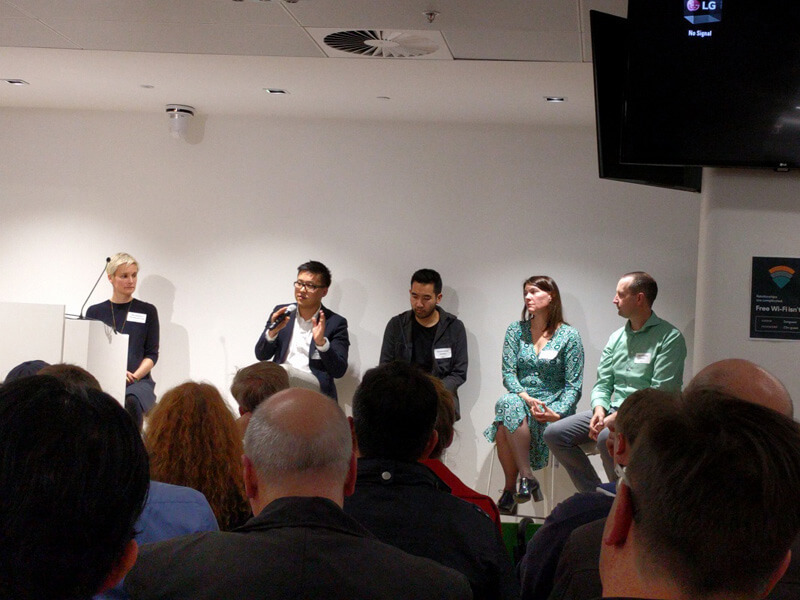 The Churchill Club ran a panel at ZenDesk of AI-industry luminaries including Jono from Silverpond. 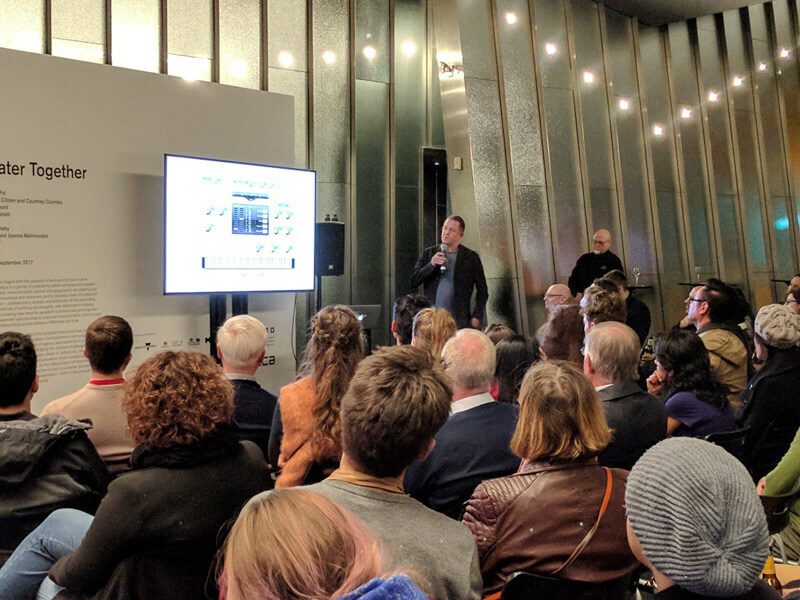 As part of the Digital Innovation Festival, the ACS ran an AI panel titled “Re-Engineering Industries with Artificial Intelligence & The Social Contract”. Jonathan Chang represented Silverpond. While much attention has been focused on possible job losses associated with AI, robotics and automation – with predictions varying from 20 to 45 per cent of jobs being replaced by technology – little attention has been paid to the huge potential impacts on privacy, social interactions, legal judgements, health and well-being, wealth distribution and more. Various chaotic events at the Silverpond offices that we’d all prefer to forget kept us busy for a weekend! Could the timing have been better? Almost certainly! After moving offices last-year, one long-outstanding item that has been on our backlog forever has been to install some light-covers. 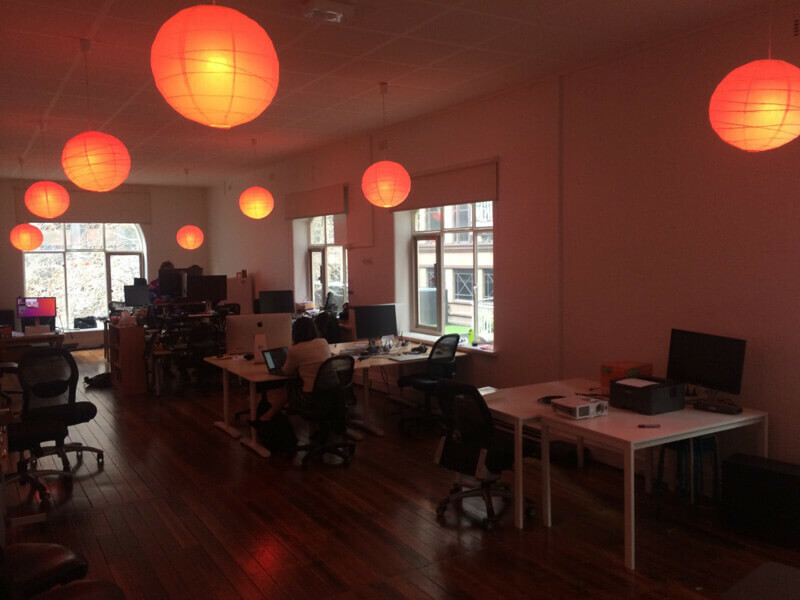 Well not only have we done this but Andy Gelme has installed smart lights that we can use for many conceivable purposes including fun, to aesthetics, and workflow-interaction. While this could be considered a minor event, the departure of the blinding glare that greeted those foolish enough to look above a 15-degree angle has been met with predictably widespread enthusiasm and celebrations! With IJCAI in town drawing so many participants from China, CCTV a Chinese news organisation visited Melbourne to report on the event. 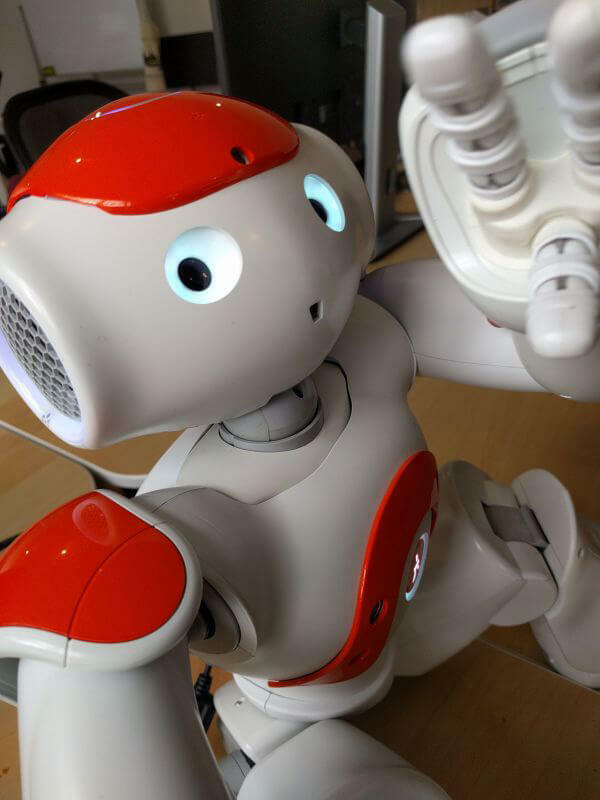 While they were in town they came to Silverpond to get a view into how the local industry is adopting AI. 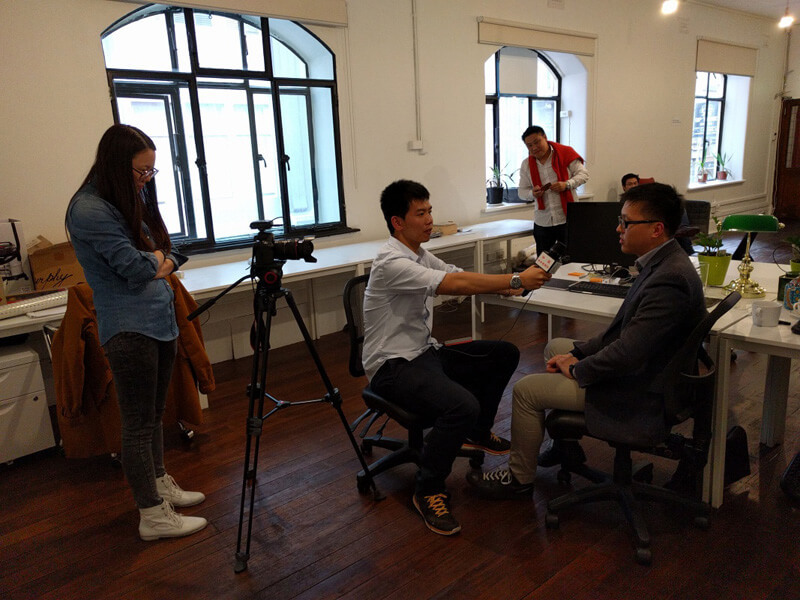 We invited a crowd of representatives from local AI-powered companies to participate in a round-table conversation and interviews with the reporters from CCTV. In the above image you can see Jonathan Chang giving an interview on Silverpond’s perspective. On top of all our other events, we hosted 6 reading-group sessions including our Bayesian-statistics group and our machine-learning papers reading-group. The reading-groups are currently invite-only, so you’ll have to ask us in person if you want to come along! 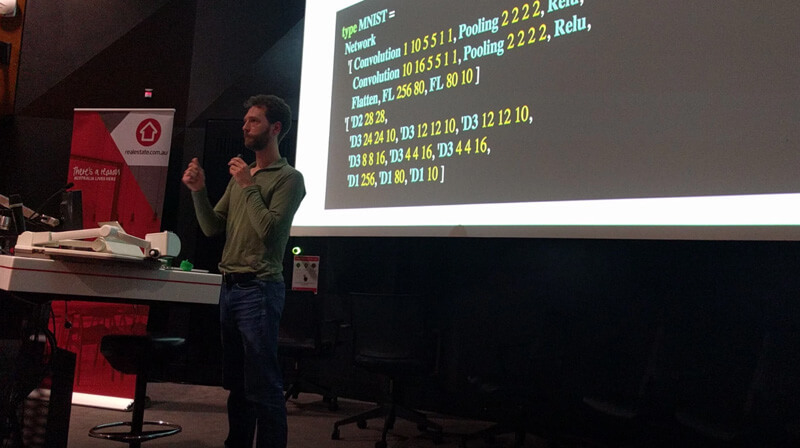 Fraser Tweedale gave a talk on Unified Parsing and Printing with Prisms. The talk targets an intermediate audience and will be discussed Haskell implementations. 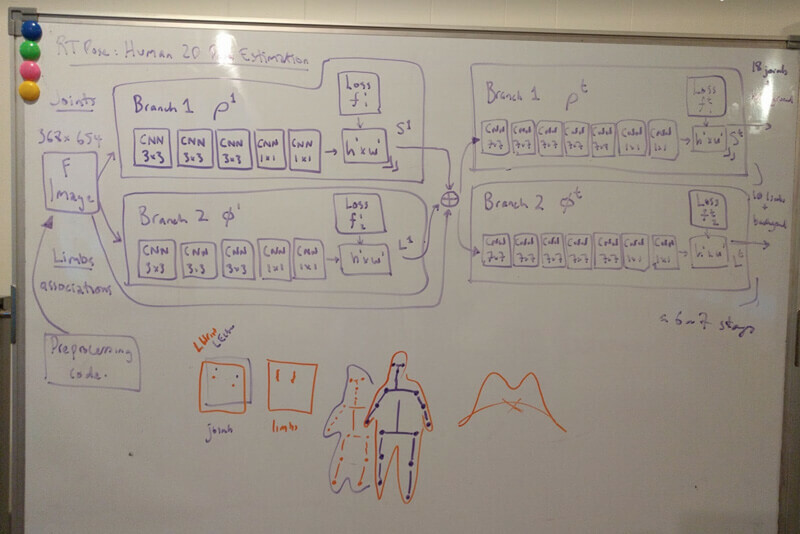 Secondly there was a new session called “Clojure Improv”, hopefully this can become a regular thing. 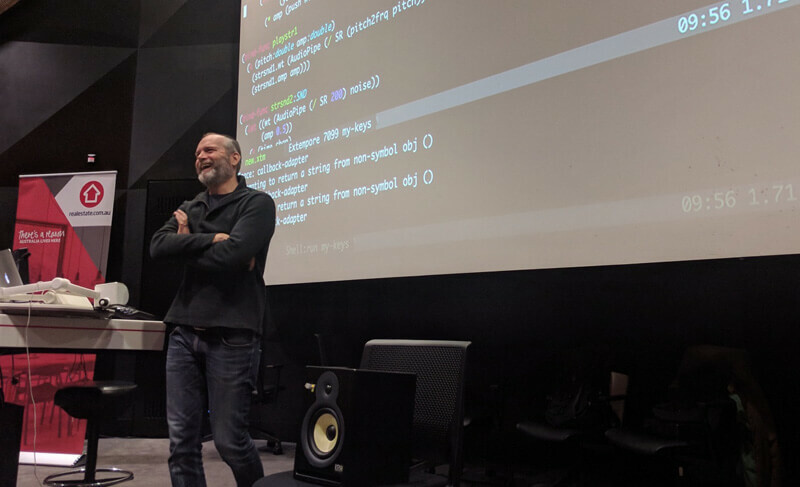 Tristan Straub, took a Clojure library that he had not explored before and explored it live in front of the group at the REPL! It is impossible to be a knitter (or crocheter) without having mathematical intuition, especially when it comes to ideas of geometry and topology. Throughout history we see examples where knitters discovered concepts centuries before mathematicians did. Mathematicians can also use knitting as a way of visualising and exploring complex ideas. 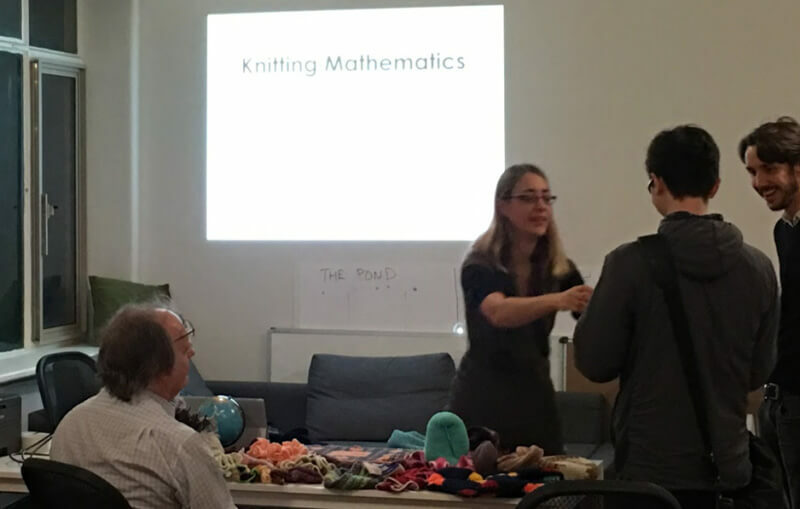 In this talk I will show my favourite examples of the connections between mathematics and knitting, with lots of hands-on pieces for the audience to play with afterwards. Different types of problems require different intellectual tools to find solutions. Cael Hasse will be discussing why he thinks achieving the goals of Artificial General Intelligence (AGI) requires different tools to the ones used for AI, and what those tools are. Cael will then introduce some ideas he is using in his own approach to AGI. 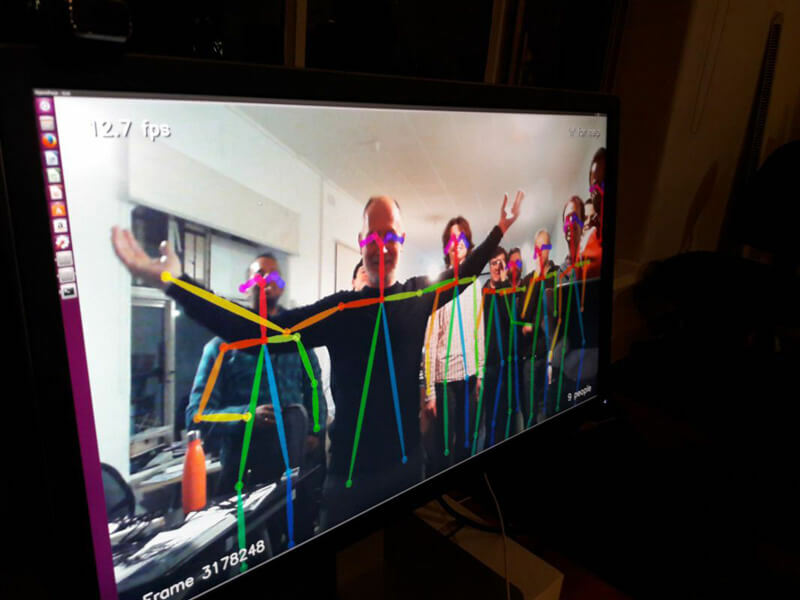 Noon showed off some of the work that he’d been doing on pose-estimation and how it relates to dancing, and T-Shirts! This was a relaxing and fun evening to round-out the month directly following Compose :: Melbourne. While we can’t announce what exactly this is yet, there’s a new project in the works at Silverpond that we should be announcing soon that has been keeping several of us very busy! Stay tuned, or subscribe to our newsletter to hear all about it when we announce what’s been cooking! With all of the work in August keeping us busy we decided to move September’s Deep-Learning-Workshop until December the 5th!